Taking advantages of the mirrorless camera's compact design and lightweight, the housings have been designed accordingly to enhance these features. Compared to SLR MDX-5D Mark lV camera housing, the MDX-R is 100g/3.5oz lighter in weight on land. The new optional Optical YS Converter C/R which converts the camera's hot-shoe TTL signal into an LED light signal is available. With the converter, both TTL and manual exposure photography are possible. 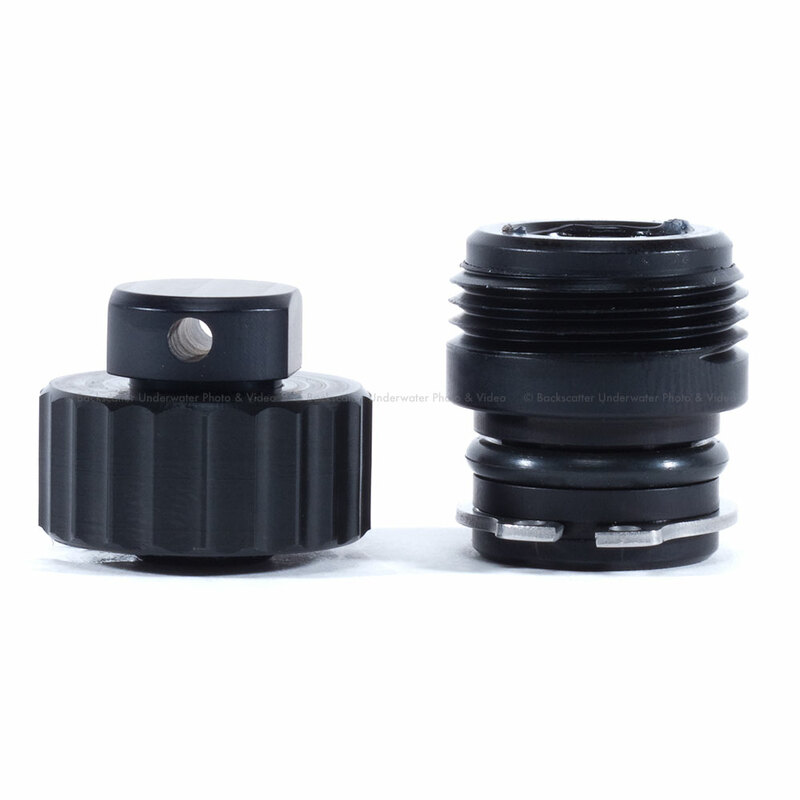 Designed for RF mount lenses. The Focus/Zoom dial has two gears, one which is dedicated for RF mount lenses. 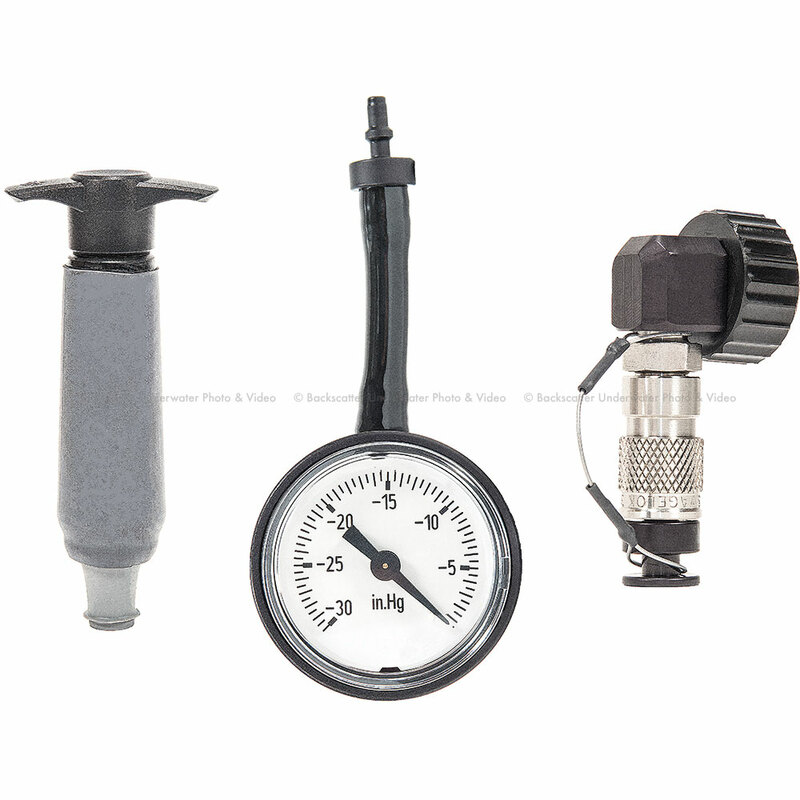 The MDX-R is compatible with the system chart for the MDX series SLR housings. You can utilize EF mount lenses with the mount adapter and ports/gears for the MDX series housings. The camera's upper control panel can be seen. A window for the camera's upper control panel is also incorporated. As the brightness of the camera's upper control panel has increased, the visibility is now greatly improved. 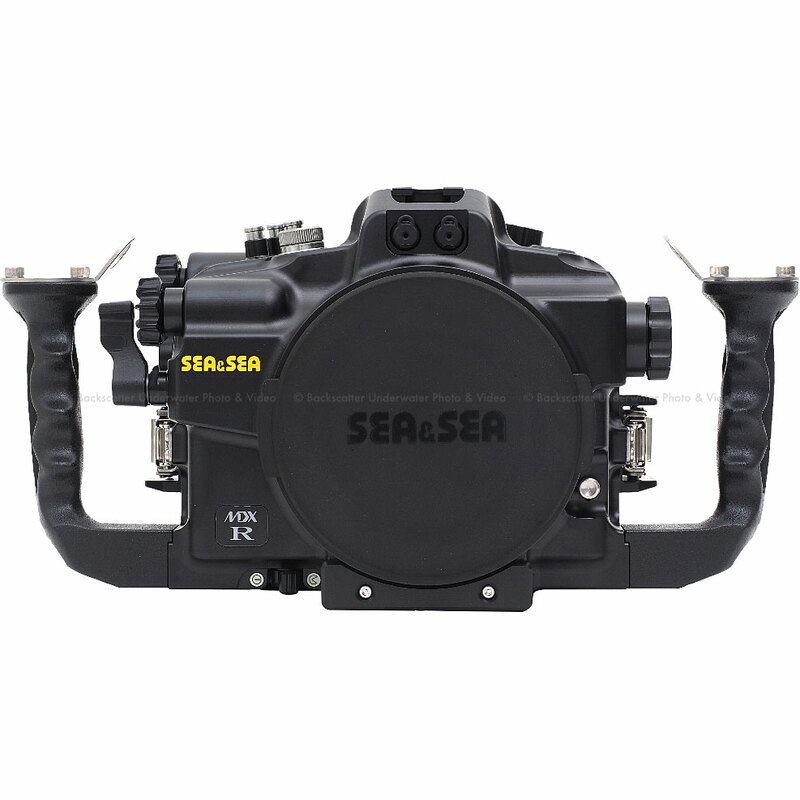 Conveniently switch lenses and ports between dives without removing the housing back. Activate the Port Lock on the front of the housing and push the Lens Release for quick and easy lens swap. Equipped with the Optical Viewfinder 0.5x as standard. Other optional viewfinders such as Optical Viewfinder 0.66x,and 0.8x can be used. Some vignetting occurs.When the VF45 and VF180 1.2x is mounted on housing, the corners of the camera's viewfinder cannot be viewed due to vignetting. Luminescent Buttons: Glow in the dark controls, levers, and buttons.